If you run a busy coffee shop or stand, then it’s important that you clean your maker and pot at least once a week. Lucky for you, our coffee machine cleaners are available in a variety of convenient forms, such as sheet, tablet, and liquid. If your business specializes in lattes or macchiatos, then check out our milk frother cleaner, which removes any milk protein buildup. Espresso machine cleaners can also be used to clean your tea urns and brewers. 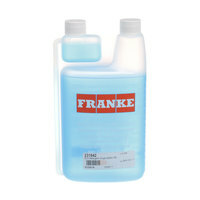 Also make sure to check out other great items from Noble Chemical, Franke, Micro Matic and Urnex. In order to keep brewing the tasty coffee that your guests crave, it’s important that you keep your coffee maker thoroughly clean. With our coffee machine cleaners, you can easily sanitize your machine, airpot, or urn, so you can continue to make delicious brews. We even offer espresso machine cleaners that remove residue from heads, valves, and machine lines for a more efficient machine. For more cleaning products, check out our degreasers, food grade silicones, and vegetable wash. 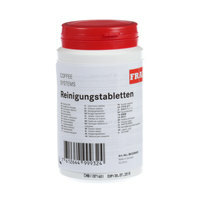 If you're wondering where to buy franke coffee / espresso / tea machine cleaners, we have a large selection of franke coffee / espresso / tea machine cleaners for sale at the lowest prices.